Our Florida Business Attorneys and Florida Business Formation Lawyers work with clients in to help them choose the correct Florida business entity, whether it be a LLC or a Corporation, to use when conducting business or trying to protect their business assets. The Florida S Corp is similar to a member managed LLC in control, but can be different in respect to the tax effects. If you select the default tax treatment for a Florida Limited Liability Company the owner or owners are taxed the as if they had a General Partnership or Sole Proprietorship. That is the income of the LLC will "Pass Through" to the individual and they will be taxed as if they had earned the income themselves. With a Florida S-Corp, the individuals are taxed at the same levels on salary, but the distributions are not counted as ordinary income and thus do not have the same amounts of SSI and Medicaid deducted. This gives the S-Corp an advantage over the traditional LLC, but remember that you can make the same S-Election with an LLC and then the tax treatment of the two entities is identical. While both the Florida LLC and the Florida S-Corporation offers protection of the owners' individual assets from liabilities of the business entity, only the Florida Limited Liability Company can protect the business ownership or stock in the S-Corp from creditors of the owners, shareholders. 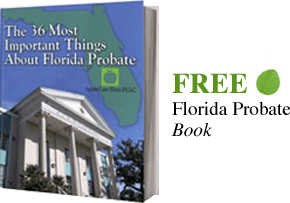 These protections are only available with the Florida LLC when it is properly structured to take advantage of the Florida Charging Order for its members. Both the Florida Corporation and the Florida LLC require more formality a sole proprietorship but it generally amounts to no more than a few hours of time a year. In addition, the Florida LLC does not have the restrictions on membership ownership that a S-Corporation has. If you need help with starting or managing a Florida Business CONTACT our Florida Business Lawyers by email or call us at 904-685-1200 to discuss your situation today. After years of trying to protect my assets from creditors, I was shocked to find out that my assets were unprotected in ways I had never considered. Not only had I placed my assets at risk from my mother's creditors, but I had placed my assets at risk from other family members who were intent on manipulation. When my mother died, I discovered that a family member had changed my mother's estate planning documents. Mr. Goldman and his team were able to explain what went wrong and successfully defended my position in court. During the case, I learned that I could have had much better protection from family and creditors, thus avoiding years of litigation and undue familial stress. When it comes to protecting your assets and your family, I would highly recommend hiring Mr. Goldman and his team. Bill H.
Satellite office with limited services and hours. Call for an appointment. *Free Consultation available in many areas. Call for details and to see if you qualify.